Late last month, Nintendo slashed the price of the 3DS. As website The Register asked, is this impacting other hardware, like the PlayStation Phone? Online British retailers are cutting the Xperia Play's price: Expansys.com slashed the phone's price from £500 to £289; Play.com is now asking £299.99. These are not official price drops. Many retailers, however, continue to charge around £500 for the phone. 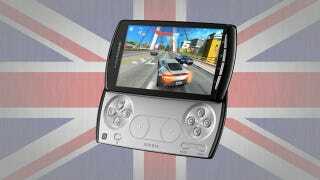 In the UK, the Xperia Play launched (buggy and partially delayed) earlier this year with few customers buying PlayStation 1 games for the phone. At least the Kristen Schaal ads were great.